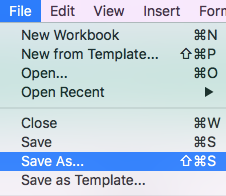 In order for "Revisit Data" to work, make sure your document is saved as a CSV. If you uploaded the file but are still getting error messages stating the file format cannot be recognized, try reloading the extension. You can do that by going to Options > User tab and hit "Reload Configuration", then upload your file again.